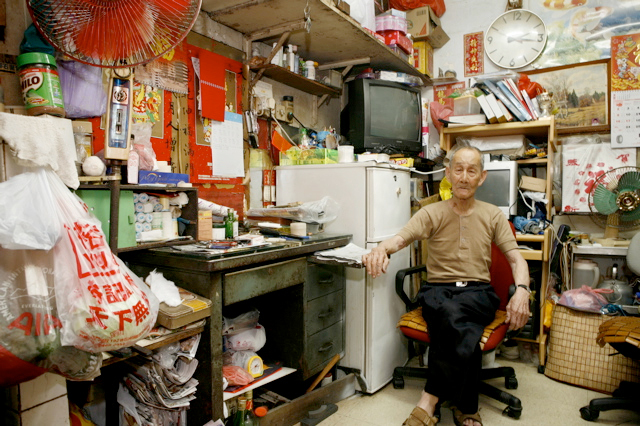 “Michael Wolf took 100 photos of people living in Hong Kong’s oldest public housing estate. Each flat is 100 square feet. Almost every room has the same kind of metal bunk bed. They almost all have a TV, electric fan, and rice cooker. I looked at all 100 photos. Here’s the creepiest room. Here’s the most cluttered room. Here’s the tidiest room. Here’s the most spartan room. I’ll post a few after the jump. As the Thanksgiving holiday nears, tables full of food, drinks, and discussion with family from afar gather to learn about each others lives and news. If you have nothing new to say, here’s a video trick ya’ll can share while eating wings…. how to eat a wing correctly…or at least how to perfect deboning it. Reminds me in the eye opening video about “How to Open a Banana like a Monkey”. Artist Mike Stilkey painted inside books, then eventually onto the covers creating a sculptured surface with books he hand selects, sometimes, reads, but definitely paints on. Reminds me a bit of the Wooden Tunnel House and Alicia Martins Streaming Book Installation. See more of Mikes work at MikeStilkey.com. I’ve become fascinated with a so called sport called Bull-Leaping, where bull-fighting heroes let go of their capes and spears to dodge, leap, and fly over raging horned bulls. 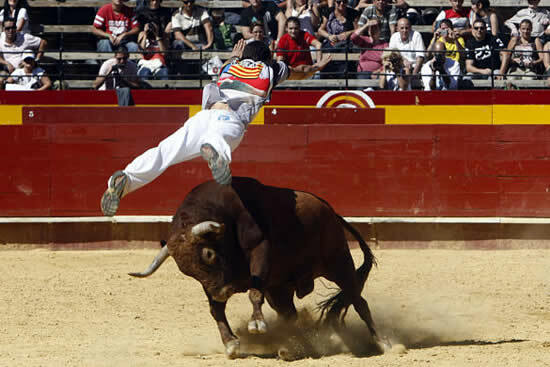 As thrilling as it is to see, I’m sure it’s a huge rush flying over the bull superman style. Check out a gallery of images here, and check out some videos here. For a few more random posts that don’t make it to here, join the designverb facebook page. 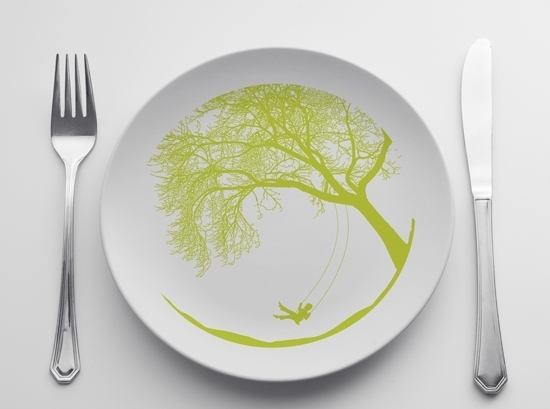 “ “Every year, global design and merchandising company Felissimo produces a series of charitable plates that traditionally feature the illustrations of present-day icons. This year, as part of Felissimo’s mission to promote better design for the greater good, the company extended the project to designers across the globe by hosting Happiness: The Tribute 21 Plate Challenge on DESIGN 21: Social Design Network. Felissimo is now proud to unveil its selection of winning plates, whose designs communicate a wish, inspiration or message for children and future generations about seeking happiness in harmony with our surroundings. A portion of the proceeds from plate sales will benefit the UNESCO/Tribute 21 DREAM Center Fund, which provides arts programs to children in post-conflict regions. all the winning artwork after the jump. Awesome fun ninja magnets in black, pink, or green! Buy set of 2 for $18 on Mollaspace here. 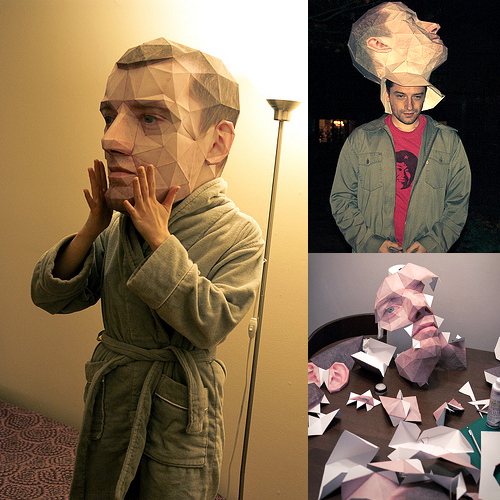 I’ve seen tons of creative Halloween costumes in the past, but with the popularity of big head Wii characters and DYI costumes, I’d have to give Eric Testroete an awesome star for his big head paper kraft costume this year which as he mentions is very much like Bert Simons projects (posted before). I’m not sure how he ate candy or sipped some goodies that night, but it sure is an eye opener! I haven’t been to to the Chiang Mai Yi Peng Festival in Thailand with the magical hot air lanterns, but I’d love to one day. Pretty amazing experience I’m sure. “The Chiang Mai Yi Peng Festival (going on through November 2nd) is a Buddhist lantern festival held in Northern Thailand. 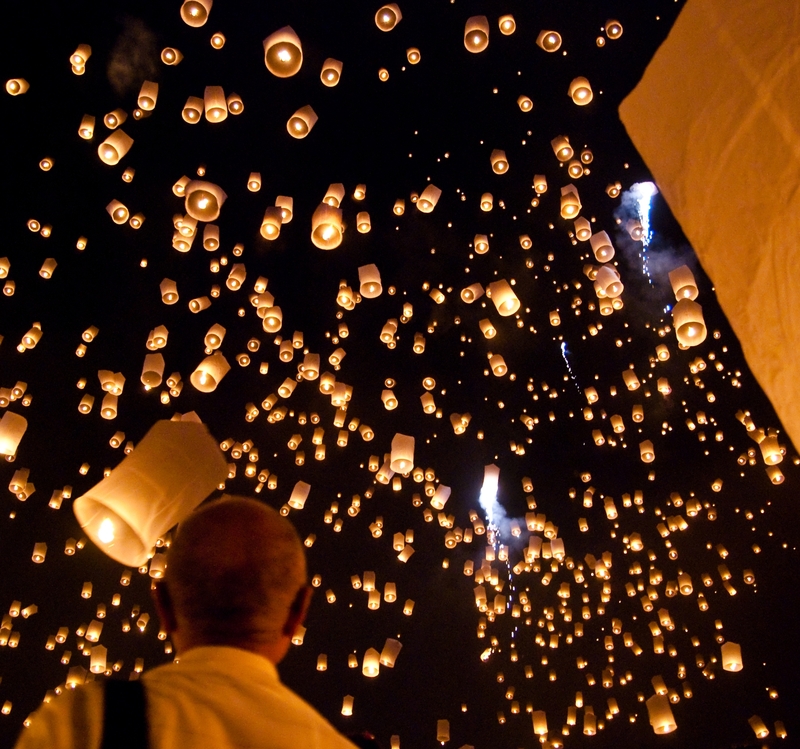 Thousands of lit Khom Fai (sky lanterns) are set off into the air, and with them are said to go the troubles of the person who launched each lantern. Pretty cool idea for a bookshelf by furniture design guru Ron Arad. A bookshelf shaped like the United States with each state having their own space. So now when someone asks me where a specific book is, I can say it’s somewhere between Kansas and California. Ha, not for sale, but I’m sure someone can make one pretty easily.